Phase Pheyden - Onell Design's contribution to the Fig-lab Finger Five - gets the Hellopike "Custom Corps" treatment. 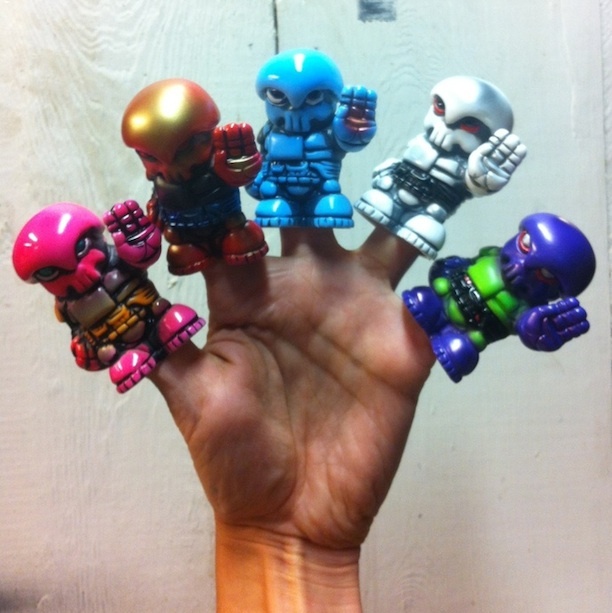 Customizer extraordinaire Hellopike is at it once more with a grip of his one-of-a kind customized Phase Pheyden Sofubi Finger puppets. Grab one of these blind-bagged beauties before they are Phased Out! 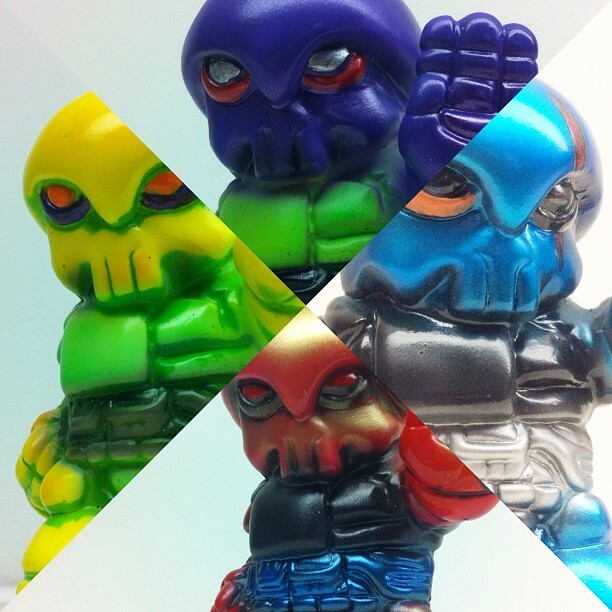 Better late than never... wanted to give a big shout out to Mighty Jaxx for hosting an exclusive release of the Finger Five at their booth at STGCC this past weekend. They also tapped us to supply them with a cornucopia of the freshest Japanese Vinyl from UAMOU, Blobpus, RealxHead, Chima Group, Monstock and Hariken. Hope the figures enjoyed the trip and found new homes in Sunny Singapore. Here is a small selection of what was on display.